Can I import my own custom SSL certificates? Yes, you're now able to use your own custom SSL certificates (e.g. 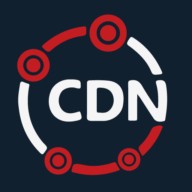 https://cdn.mydomain.com). There is no additional cost for using your own custom SSL certificate. If you do not have your own already, you can purchase one through CDN.net, or use our shared SSL option. Free if provided, cost is $600/Year through CDN.net.